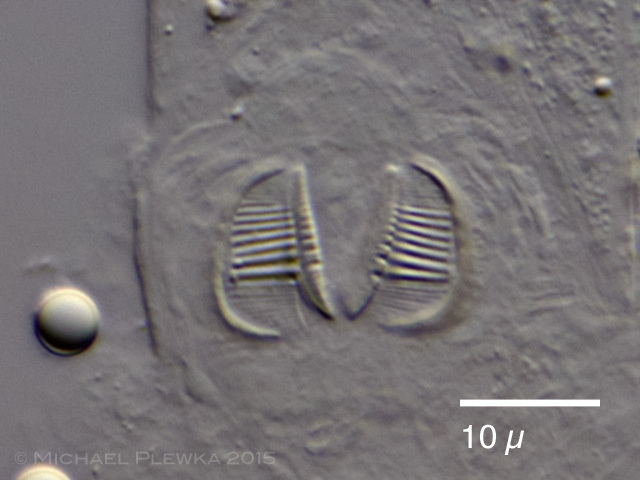 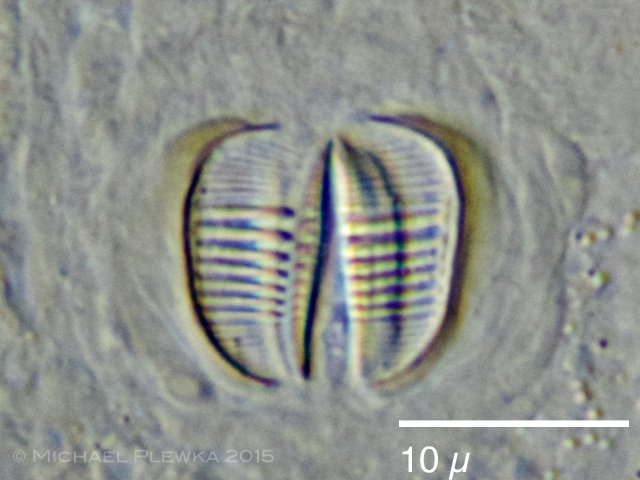 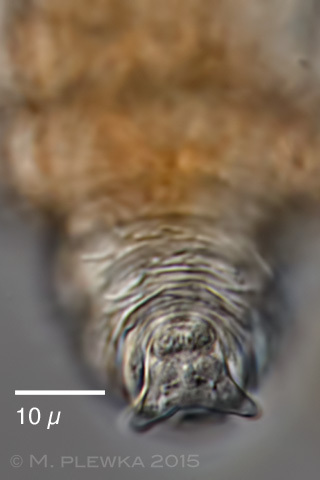 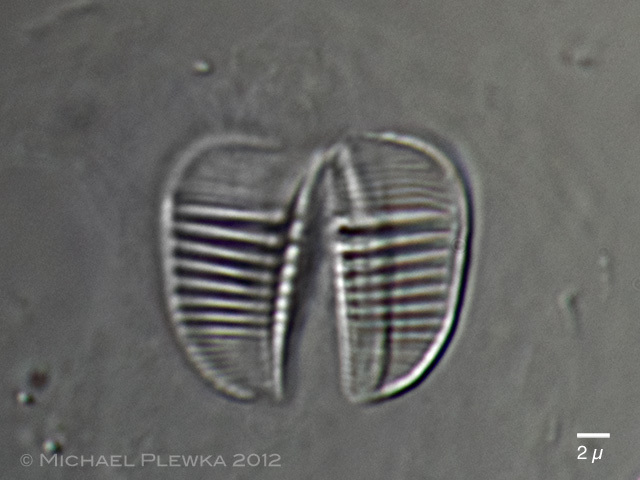 Scepanotrocha rubra: rostrum of specimen from (3) with divided rostrum lamella. 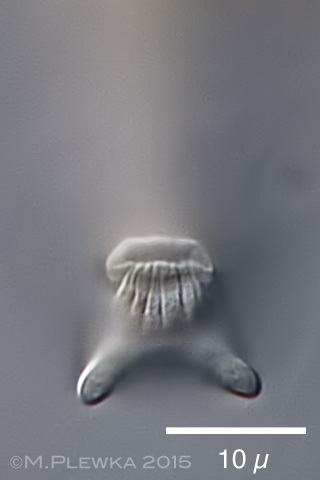 Scepanotrocha rubra: foot with spurs of 3 different specimens. 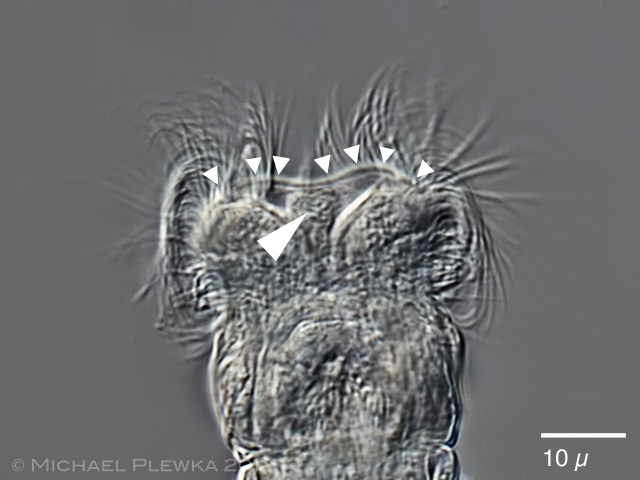 Upper images: specimens from (2); lower image: specimen from (3). 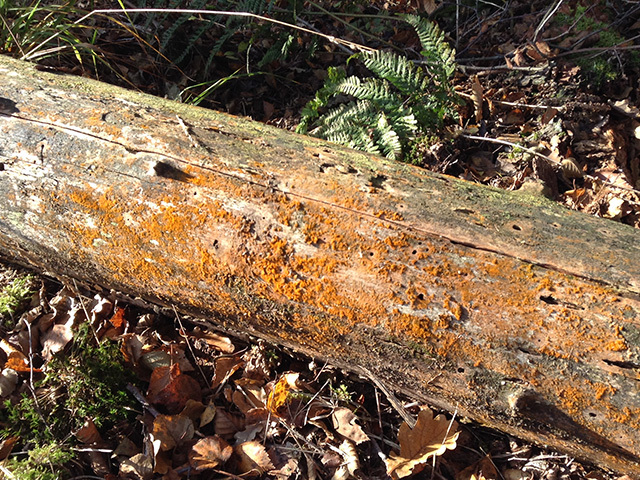 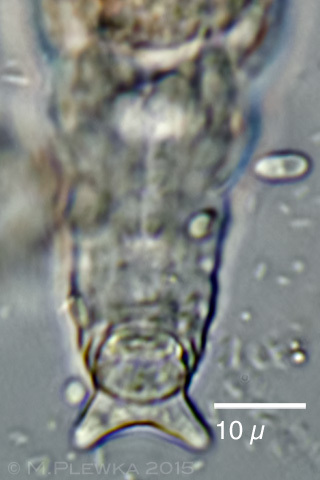 Scepanotrocha rubra: crop of the above image. 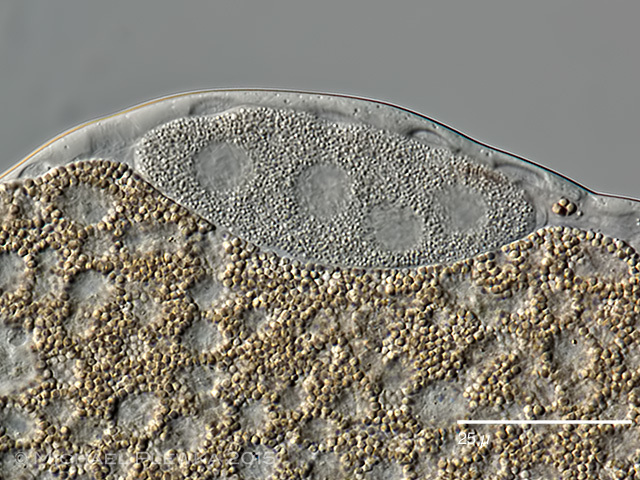 Scepanotrocha rubra: Stomach and vitellarium from specimen from (3). 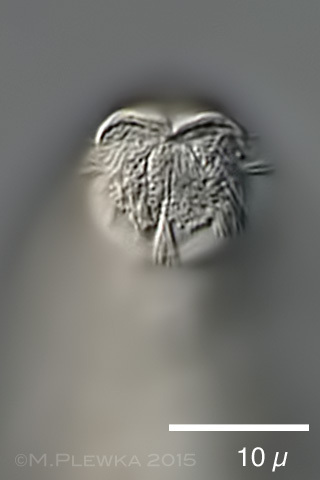 The stomach shows a granular matrix in which pill-like pellets are visible. 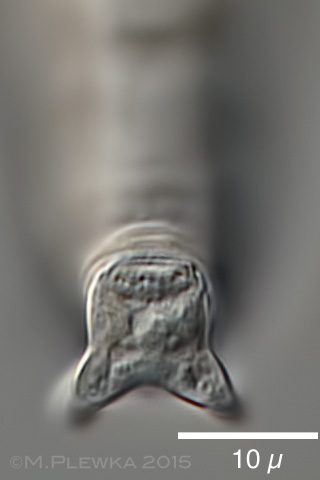 Vitellarium with 4 nuclei. 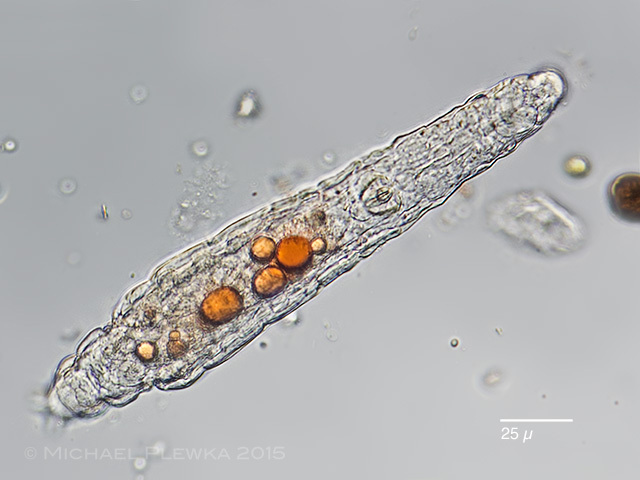 Scepanotrocha rubra: specimen from (4), living in retort cells of Sphagnum. 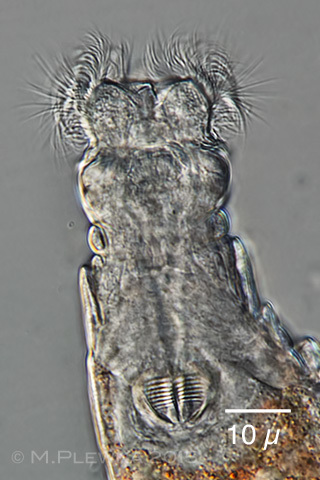 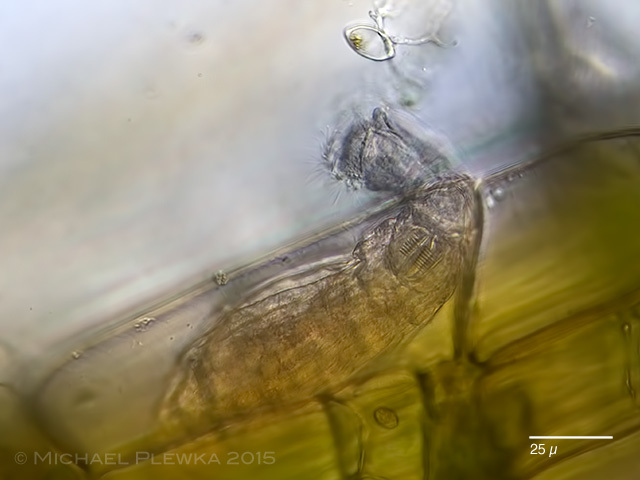 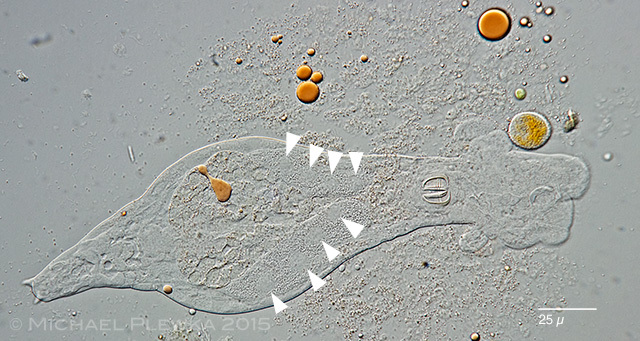 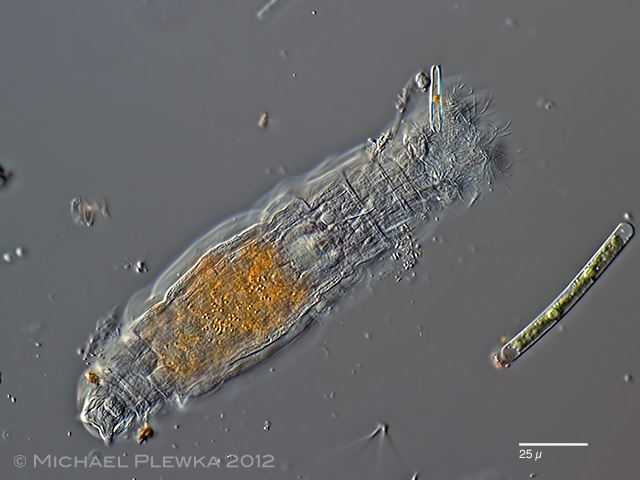 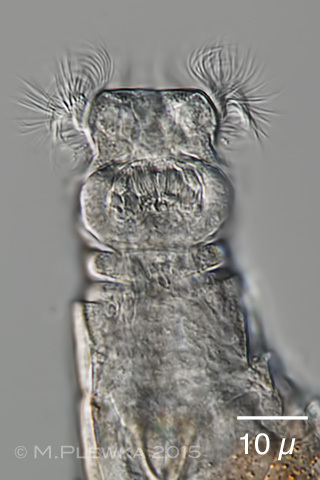 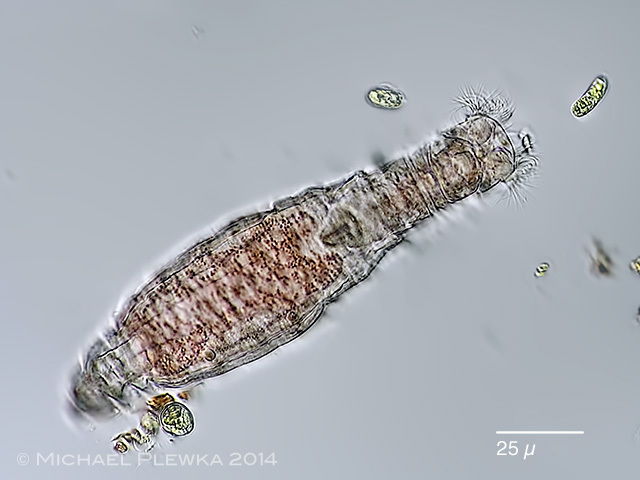 Another bdelloid rotifer that lives in retort cells is Habrotrocha roeperi. 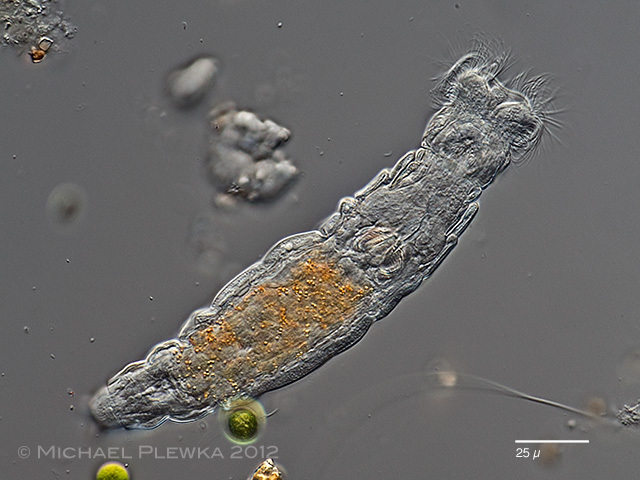 Identification by courtesy of Nataliia Iakovenko, University of Ostrava, Czech republic.